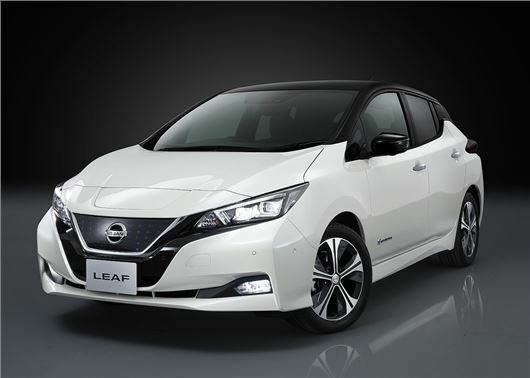 Nissan has unveiled the pricing of the all-new electric Leaf and it remains reassuringly close to the original, with entry-level models starting from £21,990 after you deduct the £4500 Government EV Grant. The 2018 Nissan Leaf will have a much-needed boost in range, with the all-electric car being capable of covering up to 235 miles on a single charge – 80 miles more than the outgoing model. The new and larger 40kWh lithium-ion battery will provide more power 110 kW - equivalent to 150PS – while torque increases to 320Nm. Arriving in UK showrooms in February 2018, the Leaf in Visia trim will start from £21,990 - £310 more than before – while the Acenta model will undercut its predecessor by £1500 with prices starting at £24,290. The Leaf N-Connecta will be priced from £25,990 while a special edition Zero model will start from £26,490. The range will peak with Tekna trim, with prices starting from £27,490. Nissan hasn’t released any equipment specifications, but has confirmed that the Leaf will be the first Nissan model in the UK to be equipped with its semi-autonomous ProPilot tech that will take over throttle and brake responses in stop-and-go traffic. Another new feature is the e-Pedal, which will automatically apply regenerative braking when the driver lifts off the throttle to convert the vehicle’s kinetic energy back into useable power to extend the range of the battery. Nissan says it has worked to improve the handling, which means the steering should have a more linear feel thanks to new software. The Leaf will also feature Intelligent Ride Control which controls the engine and brakes to counteract the pitching caused by bumpy and uneven roads. The new Leaf also has a completely redesigned interior, including a new front panel along with blue stitching in the seats, dashboard and steering wheel. There's a seven-inch display screen along with Apple CarPlay and Android Auto. The cabin should be quieter and more comfortable, thanks to less wind drag, aerodynamic changes and a quieter electric motor. The boot is bigger at 435 litres while the boot floor has been changed to make it more practical. Seriously - just look at that horrendous interior! It looks like something out of a 15-year old pickup. The exterior looks much better, but they've obviously scrimped inside and used a design from an old van, which completely ruins the car! Still far too expensive but I suppose the range is slightly better. A lot of money for a small car with a crap interior. All we need now is the capacity to charge all these electric noddy cars and as a few people live in flats how will they charge their cars overnight? Dangle a cable down 20 odd floors to the car parked round the corner? Not very practical if you don't have a guaranteed parking space.